If you enjoy modding your Android device with root utilities, custom ROMs, and Xposed modules, then there's a good chance you've had to factory reset your phone when something went awry. Plus, when you're switching ROMs, it's always recommended that you wipe all data, so us modders spend a lot of time restoring and tweaking various settings. 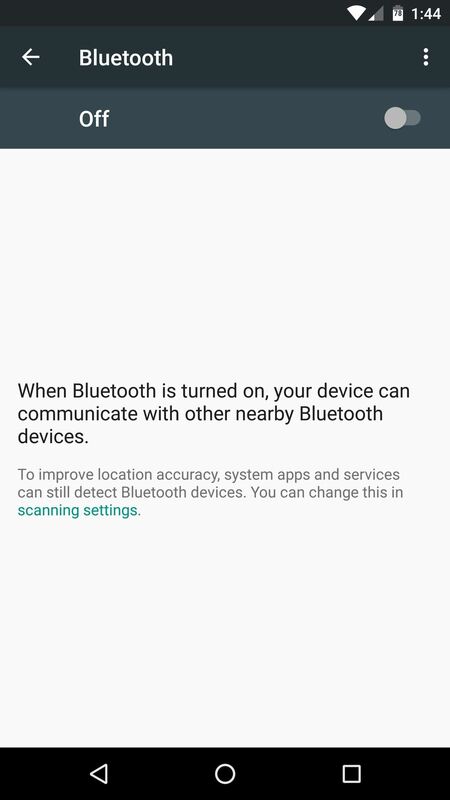 Two of the most time-consuming settings that always need to be restored are your Bluetooth pairings, and your Wi-Fi configurations. 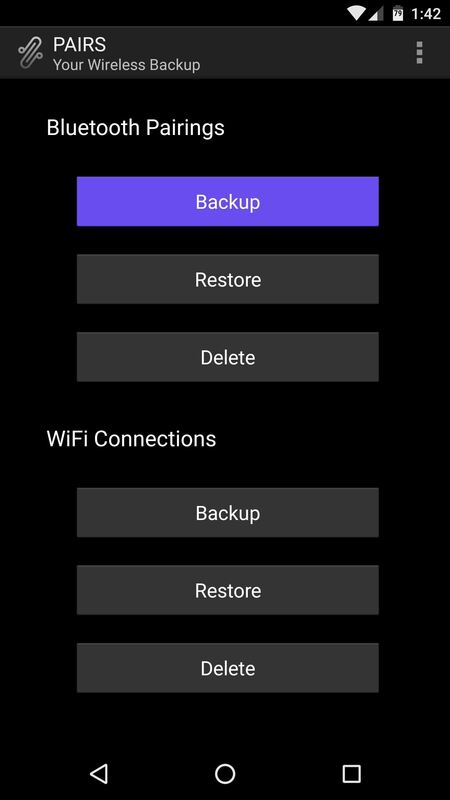 Knowing this, developer hinxnz created a simple root app that will let you back up and restore all of these connections in a snap, and it even restores your Wi-Fi hotspot data. With this one installed, it will only take seconds to completely replicate all of your old connectivity settings, so I'll show you how to set it up below. 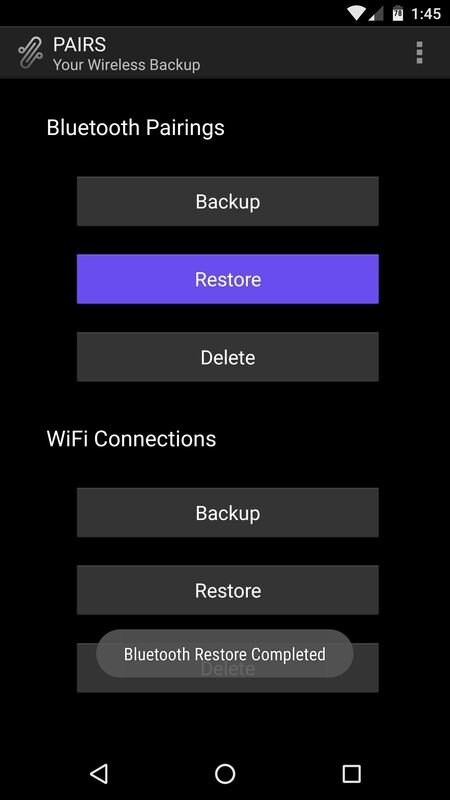 This connection-restoring app is called PAIRS, and it's only available as an APK. So to start, grab the installer file from the link below, tap the Download complete notification, and press "Install" when prompted. 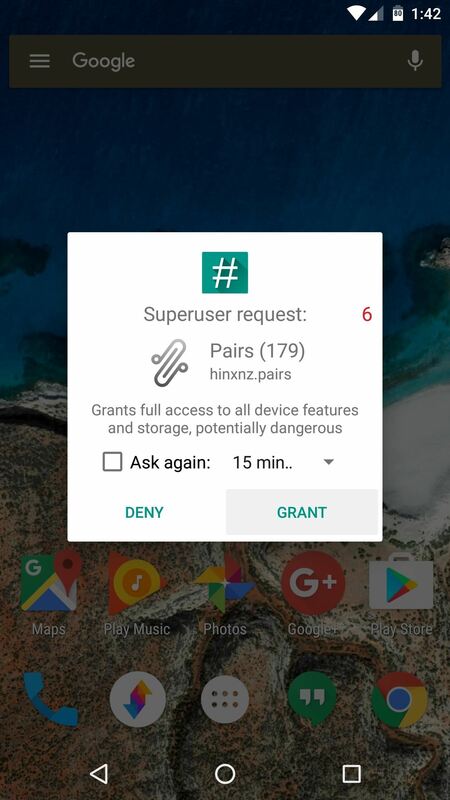 When you first launch PAIRS, the app will ask for Superuser access, so tap "Grant" on the popup. 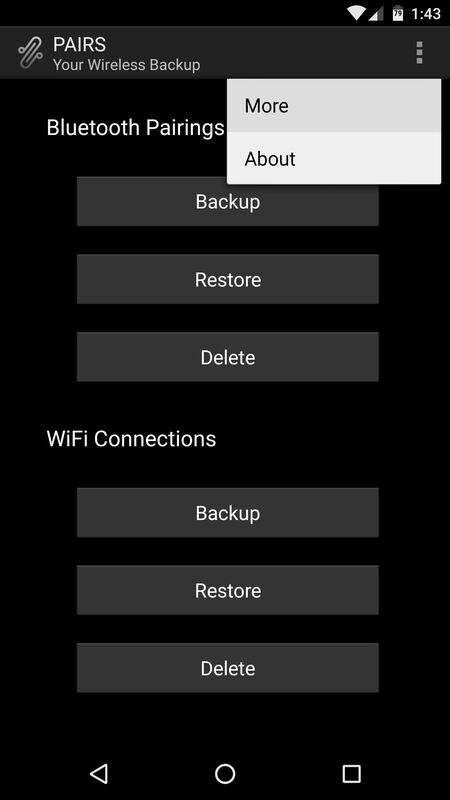 From here, just tap the "Backup" button beneath the Bluetooth Pairings or Wi-Fi Connections headers, then a file that contains an exact copy of all your current pairings and configuration settings will be created. If you're looking for the Wi-Fi hotspot feature, you'll find it in the three-dot overflow menu under "More," and it works just the same. The backup files will be stored in a folder named .pairs on your SD card or internal storage partition, but because this folder has a period at the front end of its name, it may be hidden, depending on your file browser's view settings. 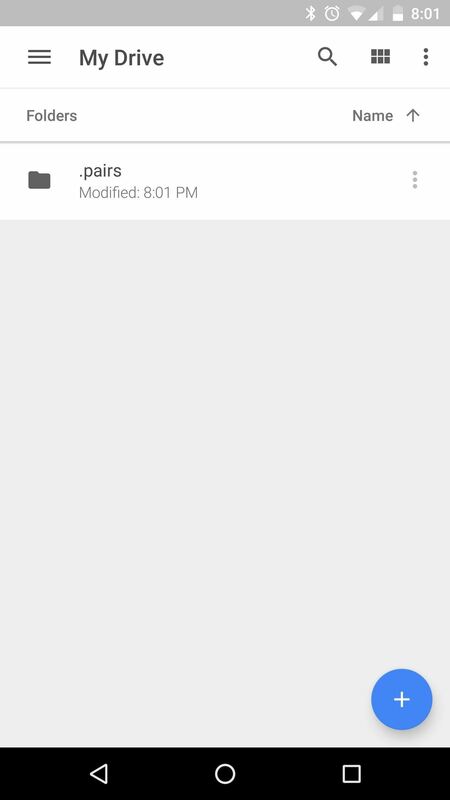 So make sure to enable hidden folders in your favorite file explorer app so that you can see it. Next, just transfer this entire folder to your computer for safekeeping, or upload it to a cloud storage service, and from now on, you won't have to worry about losing your connection settings again. 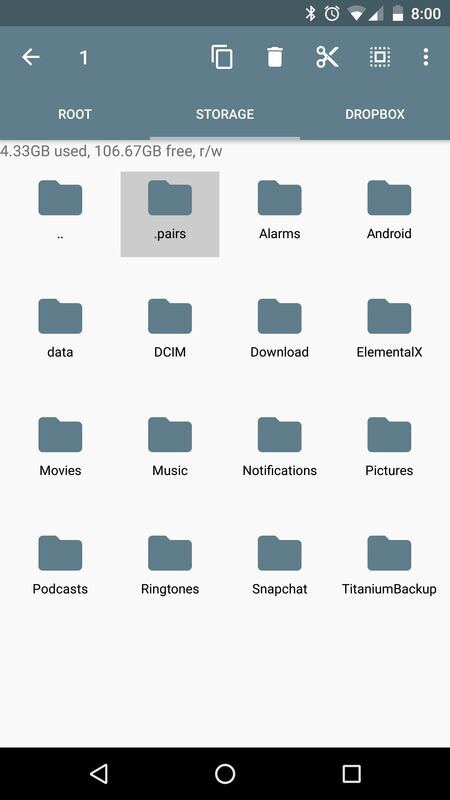 The next time you wipe your device, just install PAIRS again when you get back up, then copy that .pairs folder back to your SD card or internal storage partition. 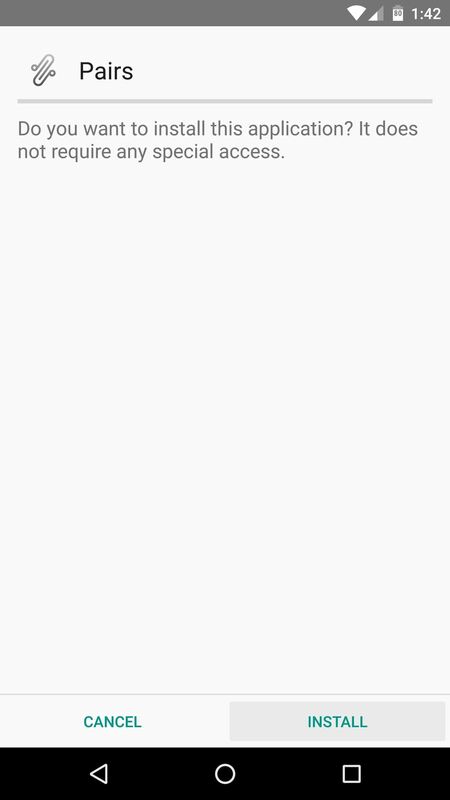 Other than that, make sure Wi-Fi and/or Bluetooth are turned off, then open PAIRS and tap the "Restore" button. 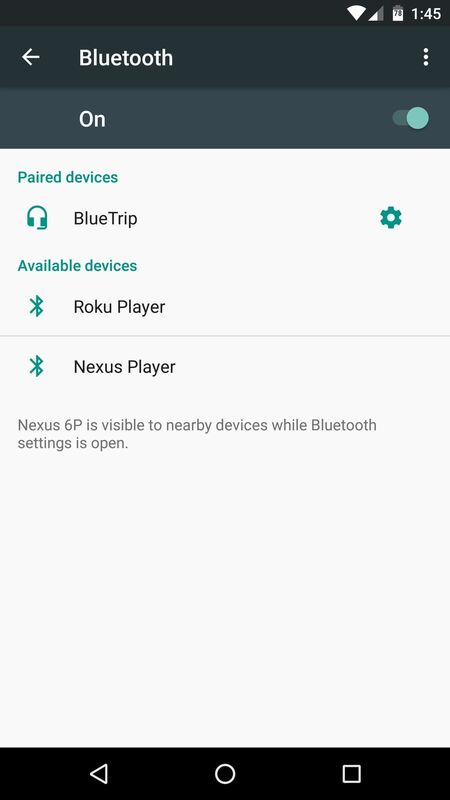 When you turn Wi-Fi or Bluetooth back on, your pairings and connection settings will be there waiting for you, exactly the same as they were when you backed them up. 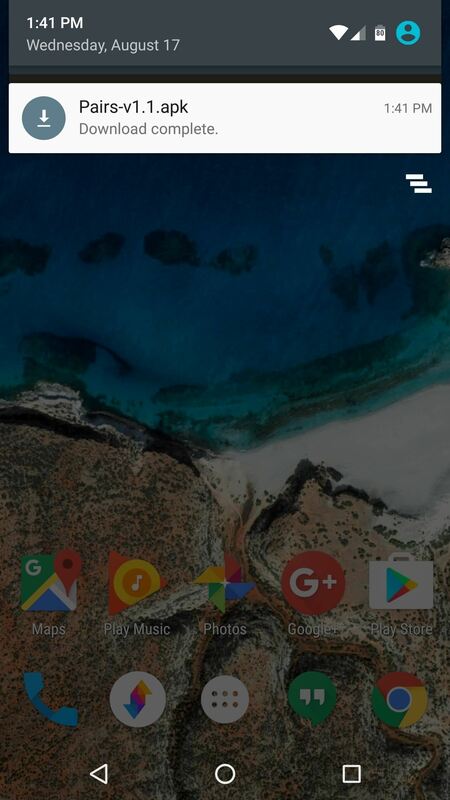 It should be noted that, while it's theoretically possible, you probably shouldn't use PAIRS to transfer Wi-Fi or Bluetooth connection settings from one device to another, or from one Android version to a newer one. Because of slight differences between devices and Android versions, the settings configurations might not match perfectly, and this could cause problems. But it's a great tool for speeding up the process of switching ROMs, and it's good to have peace of mind knowing that you won't have to futz with Bluetooth pairing or advanced Wi-Fi settings the next time you reset your device.